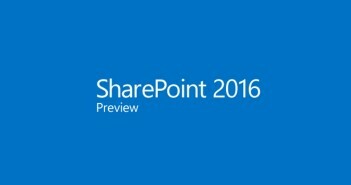 You are at:Home»Overview»What’s New in SharePoint 2010? Alerts can now be delivered as e-mail or as a Short Messaging Service (SMS) message. The alert system can be programmatically customized with mobile messaging service providers. You can create, read, update, delete, and query external line-of-business systems and do batch and bulk operations which reduces round trips dramatically. You can create content types for external data and services. There are more connective options including “plug and play” custom connectors and out-of-the-box connections to databases, Web/WCF services, .NET connectivity assemblies, and custom data sources. Event handlers will be available for add and delete events on lists, add events on Web sites, and after events can now be either synchronous or asynchronous. You can create a SharePoint lists that reads and manipulate data from an external data sources such as a SQL Server data table. You can easily create relational lists using lookup fields and have cascading deletion. Lists can now have duplicate or non- duplicate list items. Lists can have custom column validation equations using VBScript. Lists can now have navigation hierarchies and filters based on content types meaning you can have a document library that is broken down into sub-categories based on metadata in your content types. The new Microsoft Sync Framework will allow SharePoint developers to synchronize offline files and data from external applications, services and devices with libraries or lists in SharePoint 2010. Mobile Web Part Adapters in SharePoint 2010 allows developers to create adapter controls for Web Parts that you want to make available on mobile pages. Mobile messages can now be sent as Short Messaging Service (SMS) message or Outlook Message Service (OMS) through the SharePoint API. A new LINQ to SharePoint provider enables your code to query SharePoint lists from server code by using LINQ syntax. CAML queries will now supports joining multiple lists in a single query and you can specify what list fields to include in the results. Web Services will still be a part of SharePoint 2010, but only for backwards capability support. For best performance and usability, it is recommended that you use either the client object model or the ADO.NET Data Services Framework. SharePoint 2010 will have use the popular ribbon menu system from Office 2007 to replace the old style of the publishing tool bar control and some administrative menus. Central Administration screens will also use a ribbon menu system. You can customize the ribbon with a Feature or through a user custom action. Sandboxed Solutions are partially trusted solutions that are limited to using subset of the Microsoft SharePoint namespace and can be monitored by farm administration for CPU execution time, memory consumption, database query time, abnormal terminations, critical exceptions, unhandled exceptions, and data marshalling. The Service Application Framework is an API that manages services and enables them to be load balanced and shared between computers on a server farm. The Service Application Framework has over 20 built in services and can be extended by developers for their applications. Microsoft Silverlight 2.0 is now automatically installed with SharePoint 2010. Silverlight Web Parts allow Silverlight applications to be easily intergraded into your site pages. Fluid Application Model is a new concept in SharePoint 2010 that allows non-SharePoint applications hosted on another server to be made available to all Web applications in a farm. Web site users with contributor rights can add Web Parts that host non-SharePoint applications to their page. Content and application pages now contain the same content placeholders and application pages now reference the site master page. The CSS has been divided into multiple files to enable more targeted customization scenarios and to improve page loading performance. More cross-browser support thanks to Silverlight. SharePoint 2010 says it be WCAG 2.0 AA complaint. You can choice between using the old SharePoint 2007 user interface or using new SharePoint 2010 user interface that uses Silverlight and the ribbon menu system. Windows PowerShell for SharePoint is a new command-line tool and a supporting scripting language from Microsoft that complements Cmd.exe in the Windows administration context and that supersedes the Stsadm.exe administration tool. Although both Cmd.exe and Stsadm.exe will be maintained for backward compatibility, all current and future development of scripts and administrative files in SharePoint Foundation should use this new scripting technology. New workflow actions, Pluggable workflow services provide a mechanism for workflows to interact and receive data from external sources, more workflow events (WorkflowStarting, WorkflowStarted, WorkflowCompleted, WorkflowLoading, WorkflowUnloading, and WorkflowPostponed), site based workflows, high privilege workflows, and reusable declarative workflows. You can generate a simple InfoPath form that puts data into a custom list by clicking on the “List” properties in the ribbon and then the “Customize Form” menu item. With InforPath 2010 it is easier to build rich forms declaratively with little to no code and more client-side validation. Site administrators can create rules in the “Content Organizer” section of SharePoint 2010 to redirect files to another folder, library, or record center based on the metadata of a file. Document Sets applies metadata to entire collection of documents, spreadsheets, presentations, or other types of document content. Document Sets support templates and versioning. Document ID services adds a unique identifier to all documents throughout the site collection so you can retrieve documents by an ID no matter where it is stored. You can create folder metadata. In-Place Records Management incorporates record management capabilities in any site collection. You no longer have to use a Records Center site template to manage your documents. Enterprise content types can be used in multiple site collections in the same or different farms. Large page libraries allow more pages and folders to be store in one library than in SharePoint 2007. Libraries will scale to tens of millions and archives to hundreds of millions of documents. This mean you don’t have to break down your site into sub sites to maintain performance. You can define a custom ranking model to use for search queries by creating a ranking model schema. The SharePoint Search Connector Framework enables you to create search connectors to connect and crawl custom content repositories like external web sites, file servers, Exchange, Lotus Notes, Documentum and FileNet. SharePoint Search a new phonetic search algorithm and spell check so you don’t have to worry about spelling words or names correctly. Excel services now includes richer pivoting, slicing and visualizations like heatmaps and sparklines. Use Excel and PowerPivot, also known as “Gemini”, to quickly manipulate millions of rows of data into a single Excel workbook for ad-hoc reports without having to create or edit an OLAP cube. You can use the REST API and the ECMAScript object model to manipulate your Excel workbooks. Like Excel Services, Visio documents can now be rendered within a web browser when they are hosted in SharePoint. Business user can create workflow outlines in Visio and export them to SharePoint designer to add the business logic and additional rules. The Microsoft.Office.Server.ActivityFeed namespace provides new functionality for programmatically publishing and gathering the activities of site users. The Microsoft.Office.Server.SocialData namespace provides new functionality for programmatically creating and aggregating social tags, ratings, and comments. The Microsoft.Office.Server.UserProfiles provides new functionality that enables you to create role-specific properties for any type of user profile. For example clients vs employees. The Word Automation Services provides server-side conversion of documents into other formats including .pdf, .xps, .docx, .docm, .dotx, .dotm, .doc, .dot, .rtf, .mht, .mhtml, and .xml. Previous ArticleWhat Has Changed In SharePoint 2010? Next Article SharePoint 2010 Beta Has Been Released!